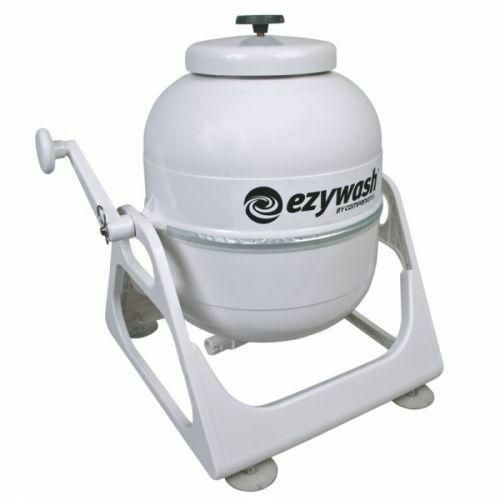 Are these Type of Portable Washing Machines that are Hand Operated, any Good?. Washing Machines that are small and don't weigh much, will pay for themselves many times over, especially, if you frequent caravan parks to do your laundry. I made the Video above demonstrating the Hand Operated Washing Machine I Own. It works remarkably well and is easy to use, I was truly amazed at how much dirt was removed from my items of clothing I used in this demo. Make me really think about changing my socks more often haha.